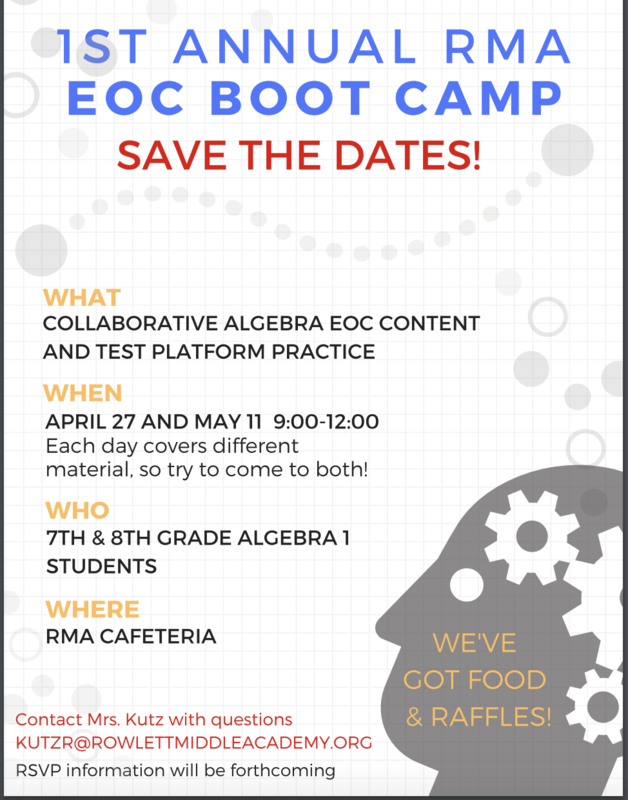 the 1st Annual RMA EOC Boot Camp for current 7th and 8th grade Algebra 1 students. Each day will cover different material, so students should attend both days. Students will cover EOC content and have practice rime on the test platform. Class will be held in the cafeteria and food will be provided.